USES 16" OR 17" PADS; 175 RPM; 3/4 HP 120V, 14 AMP MOTOR W/50' CORD. SAND PAPER DRIVER, SCRAPPER DISC & GRINDING DISC AVAILABLE. 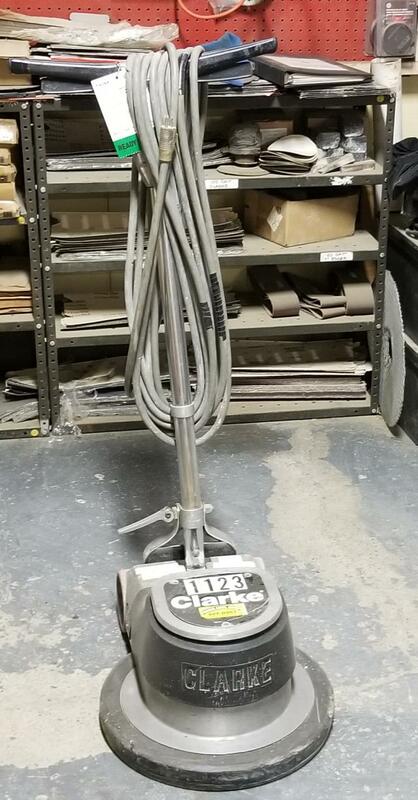 * Please call us with any questions about our floor buffer clarke fm1700 rentals in Old Town ME, Milford, Bangor, Pea Cove, Eddington, Bradley, Orono, Bangor ME.